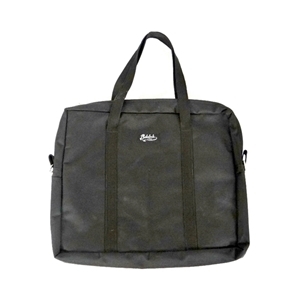 Transport your method books and sheet music in this sturdy black canvas bag. With dimensions of about 14 inches high by about 16 inches wide, this bag should accomodate even most oversized music. Handles are sown to the bag, but there are also rings to allow connection of your own shoulder strap (not included). Interior is lined with soft material.